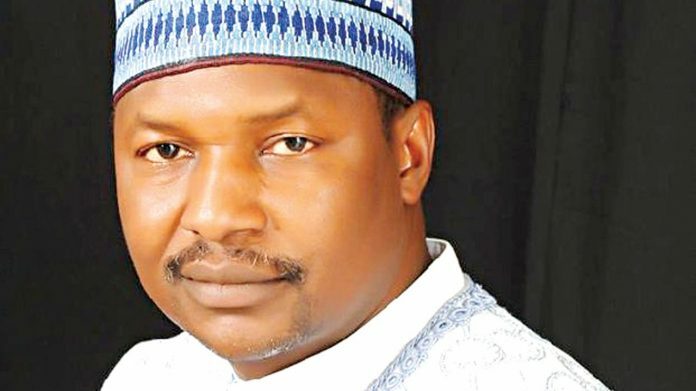 OrderPaperToday – The House of Representatives has condemned the Minister of Justice and the Attorney General of the Federation, Abubakar Malami, over a letter he wrote to President Buhari where he called for an end to the controversial Malabu case, citing a lack of evidence. The Chairman of the ad hoc committee charged with the investigation, Razak Atunwa (APC, Kwara), revealed this while speaking to The Punch newspaper. In his statement, Atunwa described the letter by the Attorney General as shocking and vowed to see the investigation through to a reasonable conclusion. The lingering Oil Prospecting Licence 245 deal involves $1.1 billion of the Malabu Oil deal that was allegedly shared by officials who represented the Federal Government in the controversial transaction. The officials involved include the former Minister of Petroleum Resources, Diezani Alison-Madueke, and a former Minister of Justice and Attorney General of the Federation, Mohammed Bello Adoke. In a recent letter to Buhari, Malami asked to withdraw any case against the former officials because, according to him, there is no evidence to initiate a successful prosecution. It would be recalled that the Green Chamber is also investigating the matter, after setting up an ad hoc committee to investigate the controversial deal. Atunwa stated that the position of the AGF raises concern over the present administration’s anti- corruption war. He said, “I am worried that the AGF would write such a letter to Mr. President, that there is no evidence. It is a serious matter. “What is important is that we will do our work as an independent arm of government. “Hopefully, by March, the report will be ready. It is for Nigerians to know that we did our job. Whatever the executive arm of government or the Economic and Financial Crimes Commission choose to do with it is their business. The investigative panel invited Jonathan on the 5th of July 2017 to clarify certain issues but, the former President has failed to honour the invite or respond to any inquiries made by the panel so far. Atunwa said that hearing from Jonathan was also an indication that “thoroughness, natural justice and fair play” was applied to the investigation. He noted that, “Mr. Jonathan was the President at the time [when] (his cabinet) ministers brokered the deal that led to the allegation of $1bn diversion of funds. “Mr. Jonathan ’s name features in the proceedings initiated by the Public Prosecutor of Milan in Italy. A United Kingdom court judgment in relation to an application to return part of the money being restrained, castigated the Jonathan administration as not having acted in the best interest of Nigeria in relation to the deal.